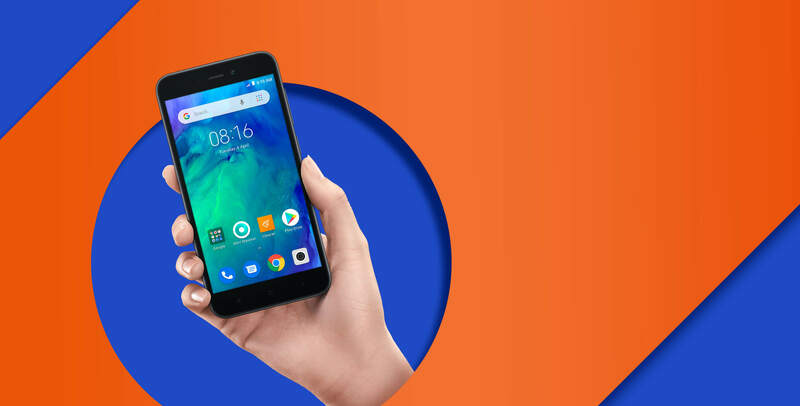 A couple of months back in January, Xiaomi Redmi Go launched in Europe with entry-level specifications and a price of 80 Euro. Today, the company launched the phone in India, and for Rs 4,499, you get a Quad-Core Snapdragon 425, 5-inch HD display, 3,000mAh battery and more. It is the first Android Go smartphone from Xiaomi and is aimed at the consumers who don’t want to spend much on the phone but still want decent specs at a lower price. It is an entry-level smartphone with a super cheap price tag so you can not expect a design that stands out from the crowd. The Redmi Go comes with a plastic build, the old school 16:9 display on the front, micro USB port, no fingerprint scanner, and a single camera on the rear. It is a dual SIM device that does have a dedicated slot for memory expansion, so that’s a good thing since we usually see hybrid SIM slot on Xiaomi’s phones. The Xiaomi Redmi Go comes with a 5-inch HD LCD having a 16:9 aspect ratio, 380 nits maximum brightness, and 1000:1 contrast ratio. There is no mention of any display protection, so we don’t think the phone has one. The processor powering the Redmi Go is the quad-core Snapdragon 425 clocked at up to 1.4GHz. FYI, this processor was launched in February 2016, so it’s a three-year-old chip. Still, considering that the Redmi Go is a super cheap phone, you cannot complain much about the processor since most of the phones at this price come with less powerful MediaTek processors. The Redmi Go has 1GB RAM and 16GB ROM. The phone comes with a 3,000mAh battery, and there is no fast charging. There is a micro USB port, and the phone comes with 5V/1A charger in the box. Coming to the cameras, the Xiaomi Redmi Go has a single 8MP rear camera with f/2.0 aperture, 1.12-micron pixel size, HDR and an LED flash. On the front, there is a single 5MP camera with f/2.2 aperture & 1.12-micron pixel size. Android Oreo Go Edition runs out of the box which is a trimmed down version of Android Oreo for the entry-level phones. Other features include 20+ Regional Language support, Dual SIM, 1080p video recording, Dual Mics, etc. The Xiaomi Redmi Go comes in two colors – Black and Blue and is priced at Rs 4,499. It will be available on Flipkart as well as on the official Xiaomi India Website, & at Mi Home. The first sale happens on 22nd March, 12 noon.